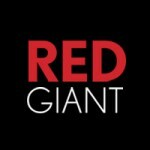 Red Giant | Singular Software Products Are Now Part of Red Giant! Singular Software Products Are Now Part of Red Giant! This is awesome news. I’m a big fan of Red Giant’s products and Singular’s products. The acquisition makes perfect sense and I look forward to seeing how you integrate the product lines. Keep up the good work and thanks for making my workflow less painful. Can we now figure out a way to have Plural license work on all programs CS6 , FCPX and not be asked to pay another fee. If we license the product we should be able to switch platforms as required? Thanks for the feedback! We greatly appreciate it. With a Plural license you will need to purchase another license to be able to use it in a different host application. Please contact us if you have any follow up questions. Congratulations. It seems like a great fit. As Aydin says, it would be nice to see PluralEyes eventually come under the Red Pledge of one purchase across multiple hosts. I would love to see an offset option added so that DSLR footage which is 2-3 frames off sync in most cameras could be brought into true sync. Verry nu usible package of software. Shity intergration whit Adobe premire cs6, not usible. Wen You bought it’s à pitty of youre money . I bought Dualeyes from Singular a few years ago. Now my HD crashed…! Where can I get a new software-download and my key? I’ve sent your information to our support team who will be able to assist with this request.